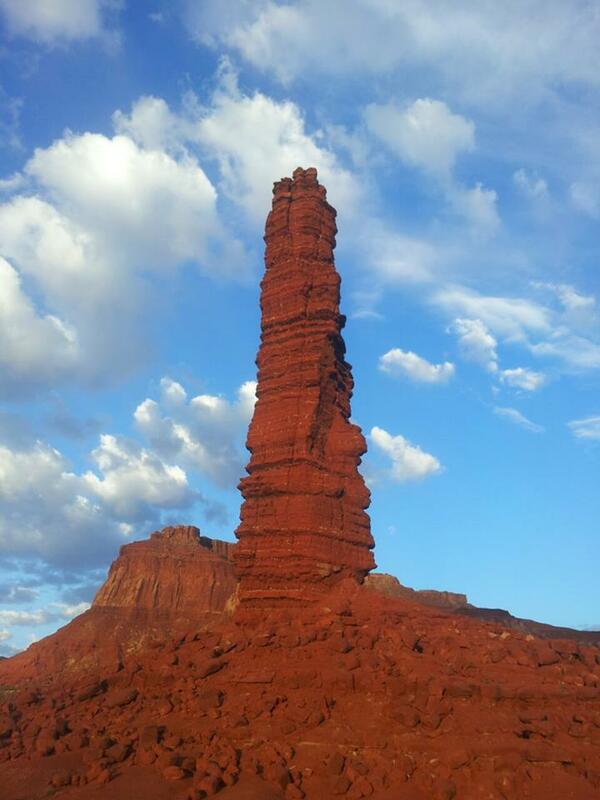 As we drove down the highway, I shared some stories of my experiences on the Navajo Reservation with Dave. A few of the experiences remind me of a dream. Part of the reason why I love climbing there is because it’s an out of the world experience. Dave didn’t seem to believe some parts of the stories but I remember them as if they were yesterday. Soon, we were driving farther and farther away from any signs of humans. We then spotted the formation, Jacobs Ladder. It’s a skinny spire 300 feet tall and 50 or so feet in diameter at the top. 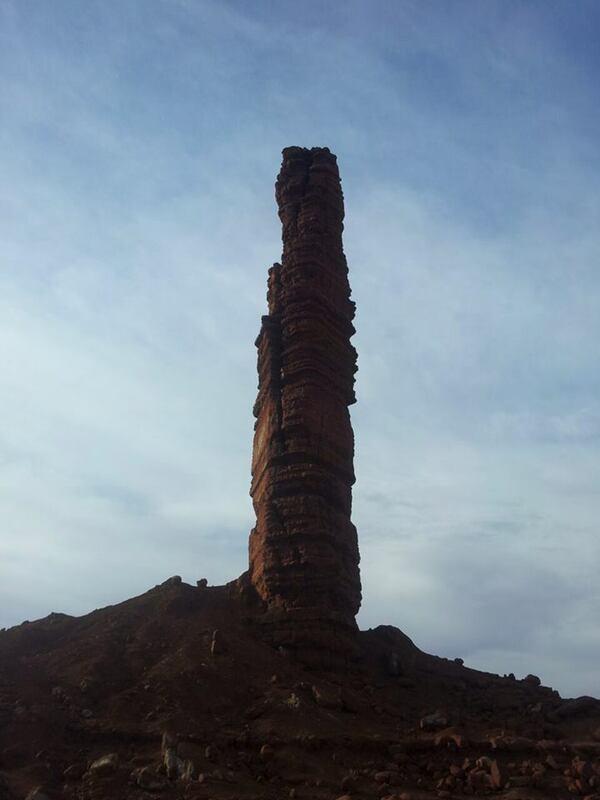 It’s Standing Rocks “evil” twin. It looked like an evil formation that sort of belonged in Lord of the Rings. As we made the rowdy 4×4 approach, we arrived at the base. Dave seemed freaked out. It resides in a pretty spooky area. 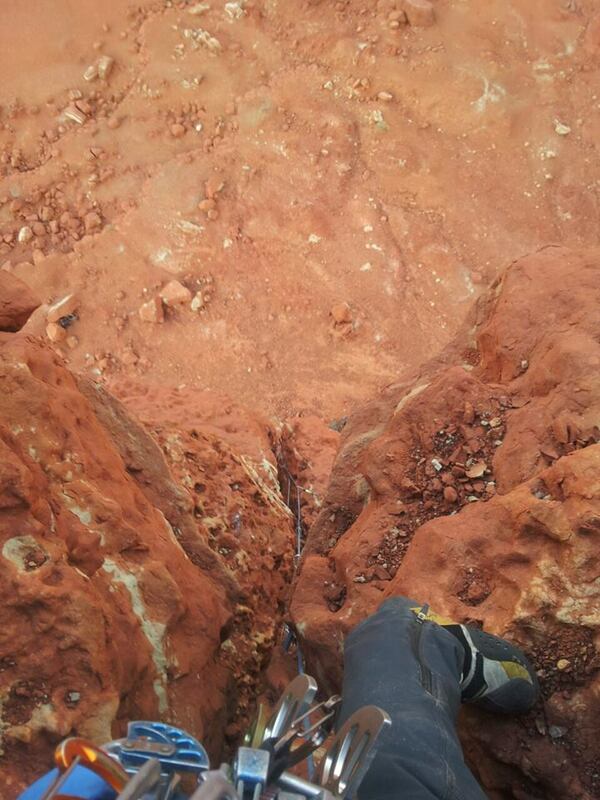 As we walked around we noticed that the first pitch of the FA route did indeed fall off. Lucky for us, I got some beta from Crusher that pointed us to the right spot to start the route. The gear didn’t look great. The rock was the most featured that I’ve ever come across of but still the rock was pretty virgin and most would consider it really chossy. Lucky for me, I found it to not to be the worst. As the sun started to set, I found myself frustrated looking at it and letting my mind play games on me that I was going to break my legs. It’s sort of the unknown climbing there. 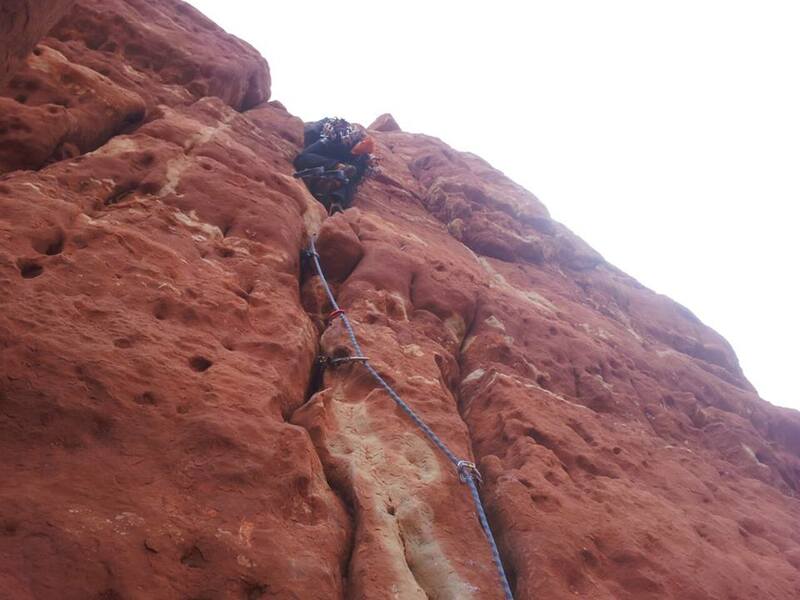 At the last second, I decided to rack up and get the mental crux over with, the first 50 feet. Within 20 feet, I found myself heal hooking on an overhang with a sharp rock below reminding me of the consequences if I blew the move. I couldn’t seem to commit to the move. It was a big move to a sideways lie backing move. It was harder then it looked from the ground. It’s the sort of committing move that there is no reversing. You either make the move or you don’t. If I didn’t, I was going to break some bones. Within an instant, I committed to the move. I latched on and pulled over fast. With relief, I placed a string of sort of bad placements in a row until I arrived at a descent #3. As I pulled a few more moves, there was another overhang. I placed a large nut in bad rock. I stood at a stance for a while trying to get the courage to climb these next moves. It was more heady moves where if you blow it, chances are not great that you’ll escape without breaking something. I couldn’t tell what was a hold or what wasn’t. Any hold I grabbed, I had to scrape off all the choss on it. I threw up another heal hook and with fear made the moves. I made a quick anchor and got lowered off as it started getting dark. It was a bold start. As we ate dinner, Dave kept saying he saw a silhouetted dark human figure to the right, then to the left. I never saw it but we both had a feeling something was watching us or stocking us. I’m not sure how to describe the feeling. We seemed to rush into his truck. The thought of sleeping outside made us feel vulnerable. We locked the doors in an instant. We both started slowly falling asleep, feeling safe that we were locked inside the truck. Soon, I slowly looked to my right. As I looked, there was a very dark figure standing outside the door on my side about 2 feet away. As if it was capped in very dark black clothes. I could not see the face of this “thing” but only have a strong sense that something very demonic and evil was near me. As I locked “eyes” onto this thing, I instantly lost my breath. I couldn’t breathe. At once, it seemed to be drawing all the air out of me towards it, sucking life out of me. My head and body started to be drifted closer towards this. I grabbed the center consol at once and pulled with all my strength away. At an instant, it stopped. It made a loud screech and non human sound. I was relieved. A minute later, this dark figure appeared on Dave’s side. Dave was asleep. The thing appeared stronger with him. It was pulling Dave closer to it. Dave awoke and I grabbed him and pulled him away from it with all my strength. After several minutes of fighting, I pulled him back and the figure disappeared. Soon, I awoke. I was under the covers. I was too scared to look out the window. What I had “dreamed” about was the most realistic and horrifying dream I’ve ever had. The dream was so real that it had the exact place of trash, bottles, my sleeping position, Dave’s sleeping position, in it. Stuff I didn’t even know or pay attention to. I was too freaked out to look out of the truck. I wasn’t sure if it was a dream or not. It seemed too real. This is the Rez. Stuff happens here that you’ll never experience anywhere else. I was awake for a couple hours not budging but my spiderman senses were always going off. The hair on the back of my neck was always standing up. We didn’t belong here and we knew it. Soon Dave woke up mentioning that I did in fact grab his arm that night and that he too in fact was freaked out. We finally got out of the car and looked at the objective, at first light. That weird vibe feeling instantly disappeared at light. I grabbed the gear and we rushed over to the tower. I roped up and got to the previous evening’s high point. Soon, I found myself in a mud chimney. The climbing in it was never hard but loose enough that you had to be really careful. After 55 meters I made a belay on a nice ledge. What a cool pitch! With really bad wind I sat shivering and noticed a storm was starting to come our way, with lightning fingers. I felt rushed and was getting upset with Dave for taking so long following the pitch. 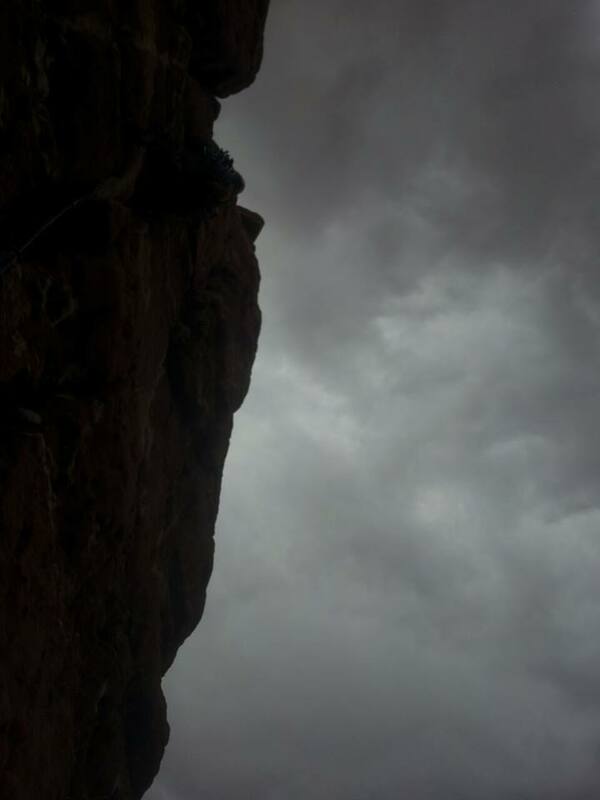 As he approached the ledge, I could tell he was terrified, stating it was the scariest pitch he has ever climbed/followed and he had no idea how I climbed it. It was probably the heavy pack he was carrying. 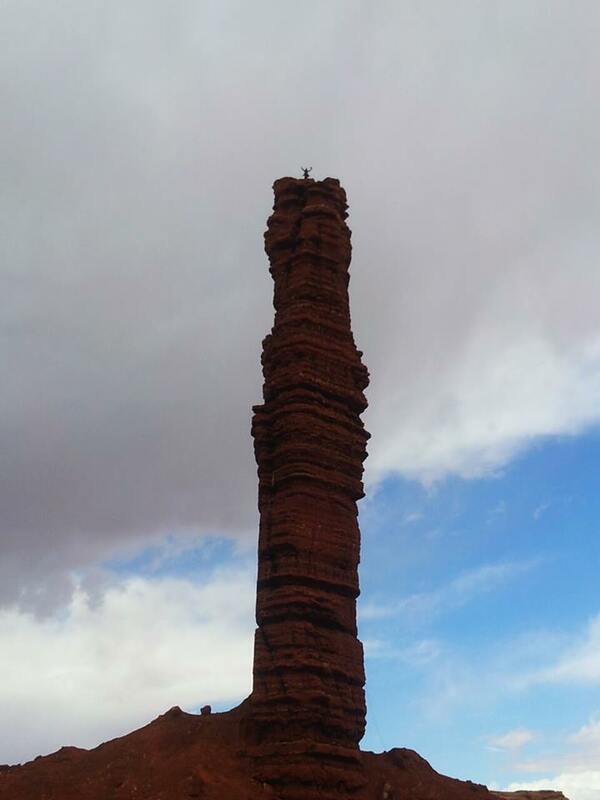 It was just the typical “5.9” loose climbing or something. How do you even grade this stuff anyways. 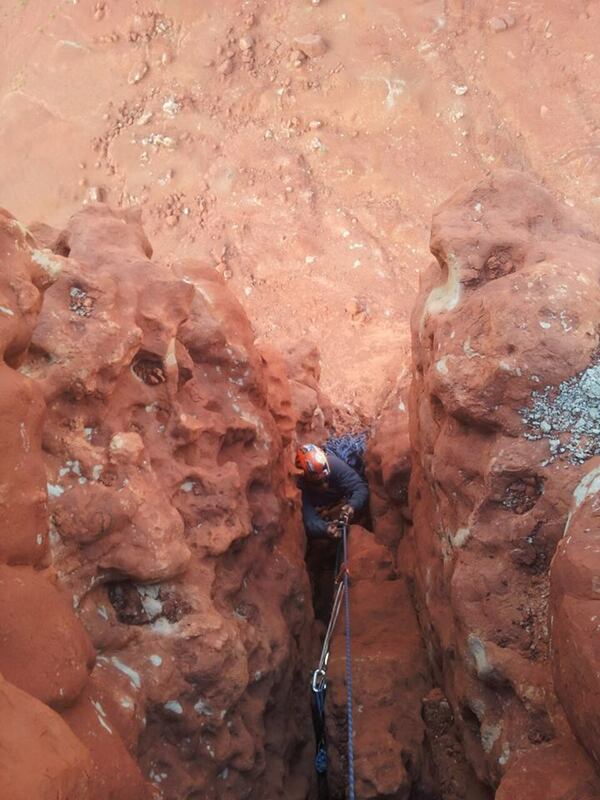 He soon racked up and led the last pitch on better rock. I soon followed it at 5.10+ or something. We sat on the summit, relieved. Realized after some calculations in the summit register that we were the 14th ascent or something since the early 1970’s. I soon rappelled down to get shots of him on the summit. He came down and we shoved all the gear in the truck. It was raining now and the drive out had some really sandy washes that you could not get out of if it was wet, even with 4×4. As soon as we got out, we were sort of shocked of the experience. 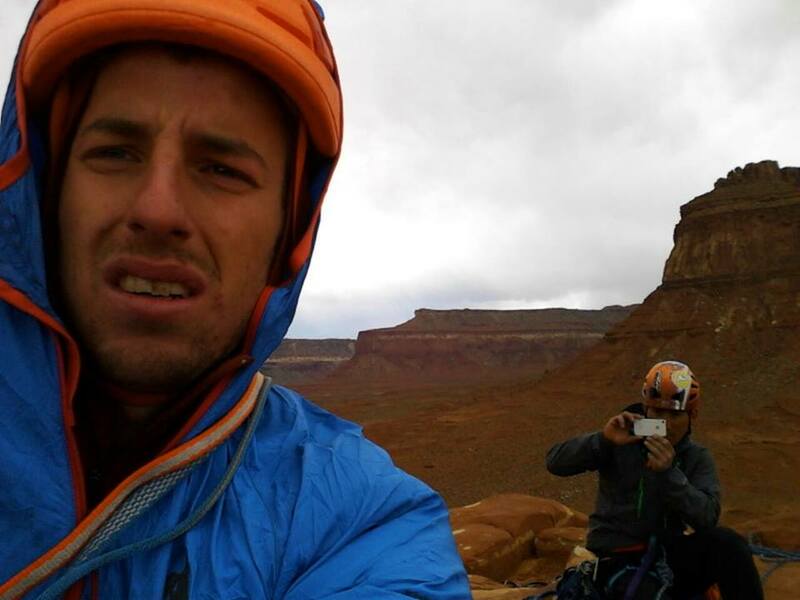 I soon called Alex and Quentin as I knew they were around Monument Valley with the Sufferfest2 crew. The other crew outside of Alex and Quentin sort of were confused why we were there. They seemed to think we drove from Denver just to stalk Alex Honold and Cedar Wright. I wasn’t about to try to explain our experience for the last two days. The truth? 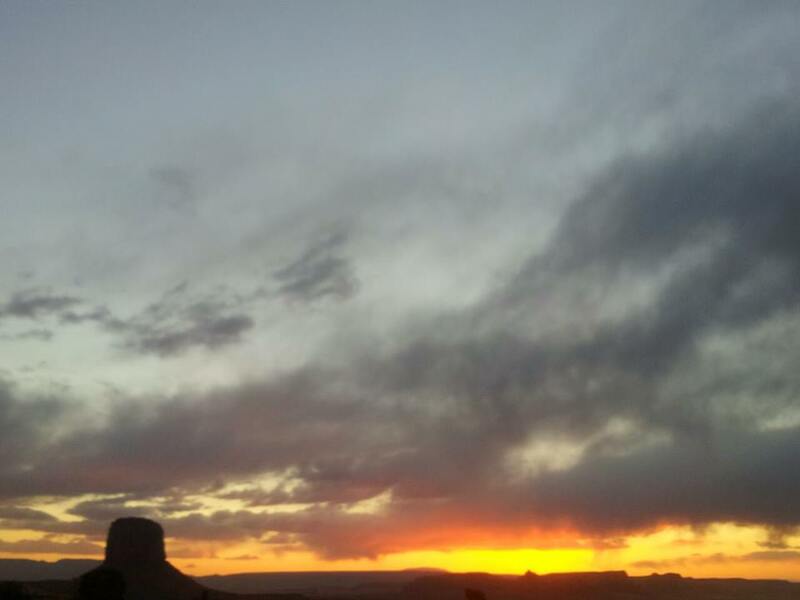 We were just happy to have other company and tour around the back roads of Monument Valley with good friends, Alex Pina and Quentin Tutt. Along with witnessing the solar panels being put up on houses that don’t have power. Witnessing the reactions of those that now have power, that’s worth more then any amount of money. Climbing takes you places beyond your wildest dreams. It’s the adventure, the challenge, the experience that makes it worth it in the end. This is the type of stuff that will change your life, forever. For me, the risk seems to be a little worth it. For you to know, you’d just have to be there.